On the night of 20 June, will you be homeless? 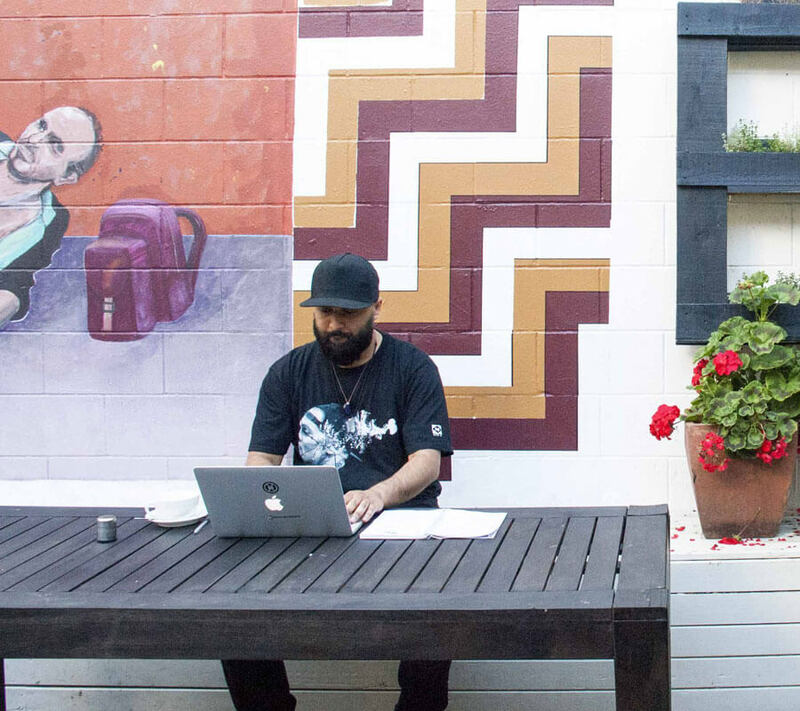 Located on Auckland’s iconic K’ Road, Merge Café is unlike any other. 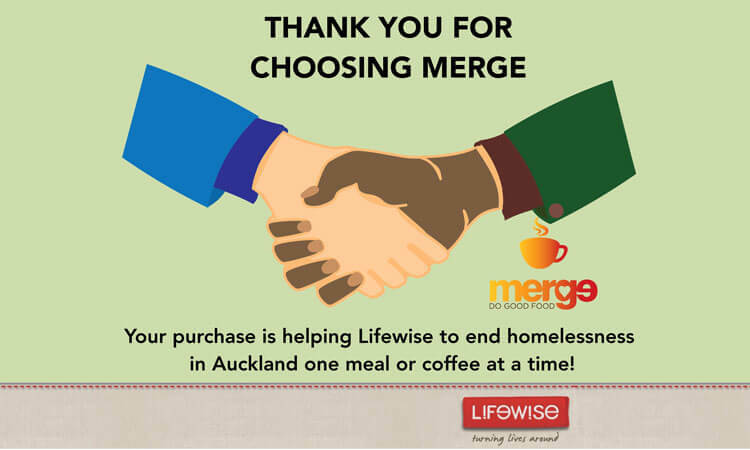 With a goal to end homelessness in Auckland, every dollar spent at Merge Café goes towards support for people experiencing homelessness. Since 2010, Merge Café has welcomed and supported people from all walks of life, bringing them together to share a meal and engage in conversation. 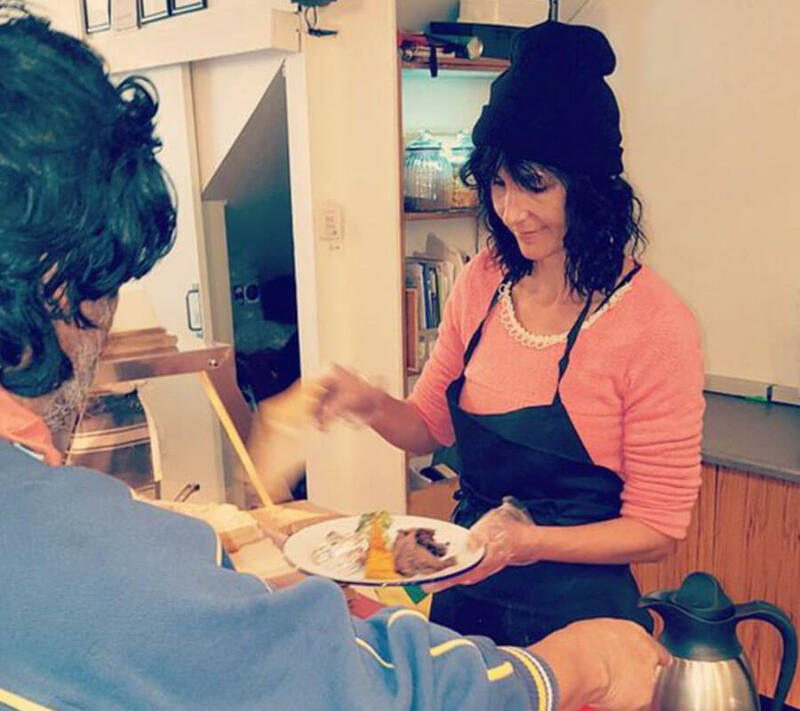 It has played a crucial role in supporting Auckland’s homeless whānau, breaking down societal barriers and offering a warm, safe and supportive space where anyone is welcome. 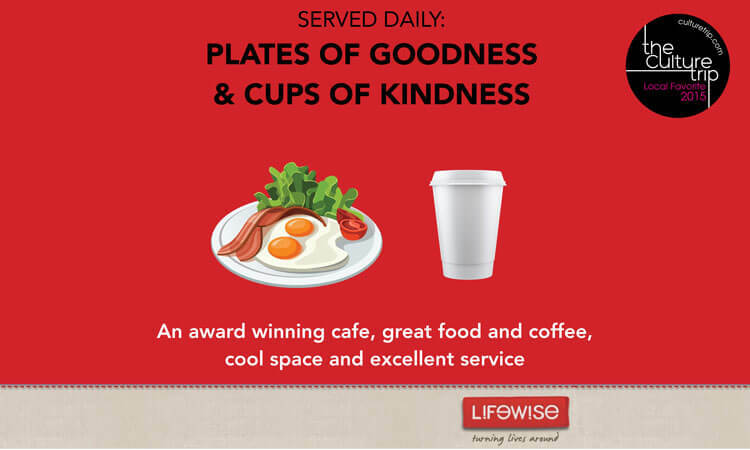 It’s a place where you can go to eat well, feel good and do good, all at the same time. Those who are hungry and those who hunger to make a difference, we encourage you all to eat at the same table, chat over delicious food, and enjoy good company. Merge Café has everything you need to relax and unwind. Jump online with free Wi-Fi and iPad access. Speak to the café manager to know more. 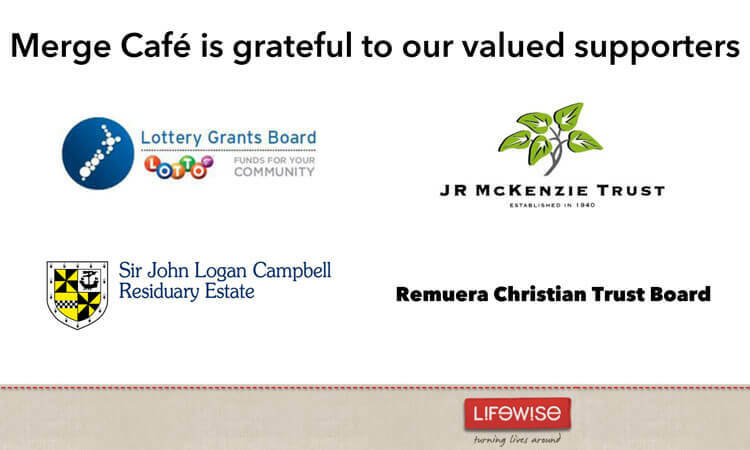 Connect with the community via the Merge Café noticeboard. 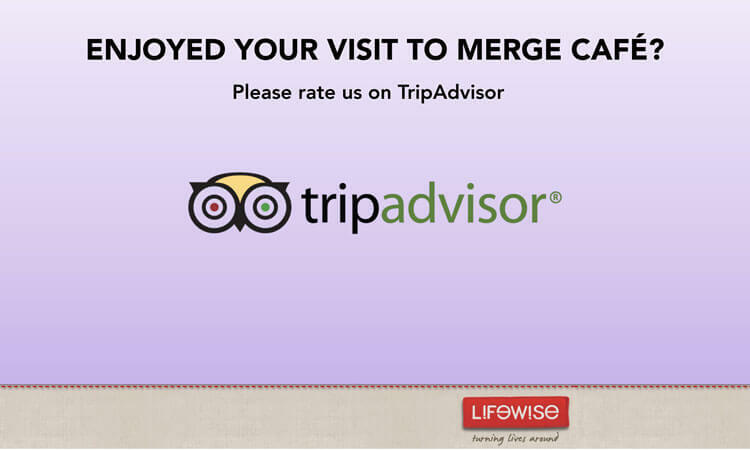 Find and post job vacancies, event updates, and information about places to stay. 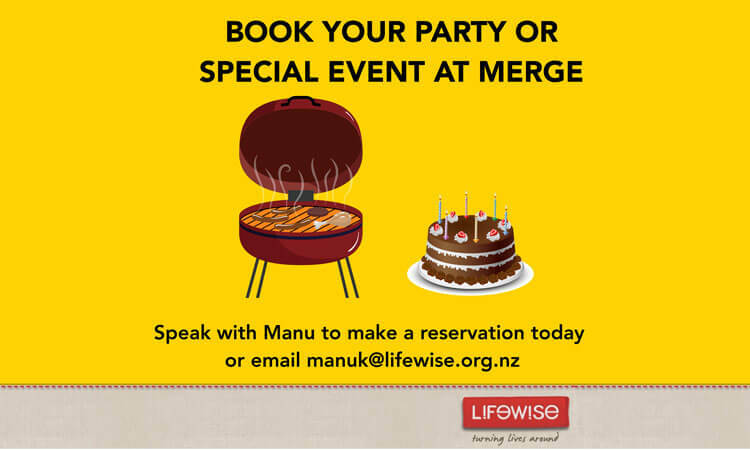 Enjoy our al fresco area where we host BBQs and muso events. Even on rainy days, Merge Café can be your place in the sun. If you like some quiet time, join the Merge Café Book Club or feel free to linger over our collection of books and magazines. The Merge Community Peer Support Team provides guidance and advocacy to people in the homeless community. The team also supports the Housing First programme with community-led development. 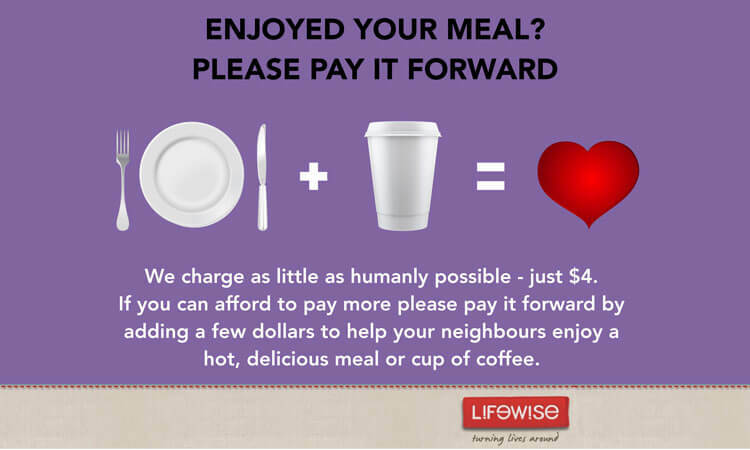 You can help someone enjoy a hot, delicious meal or a cup of coffee. $25 Meal Vouchers: for the price of just one meal at a fancy restaurant, you can provide five hot meals. Available for purchase at Merge Cafe. We charge as little as humanly possible – just $4 for a meal. If you can afford to pay more please pay it forward by giving a few dollars more. feel good and do good all at the same time. Before Merge Café became the modern establishment you see today, it used to be the Airedale Community Centre. This bustling and well-known soup kitchen served over 40,000 meals a year to Auckland’s homeless people since 1885. Over the years, we realised that despite the best intentions, the soup kitchen was maintaining rather than solving the issue of homelessness. 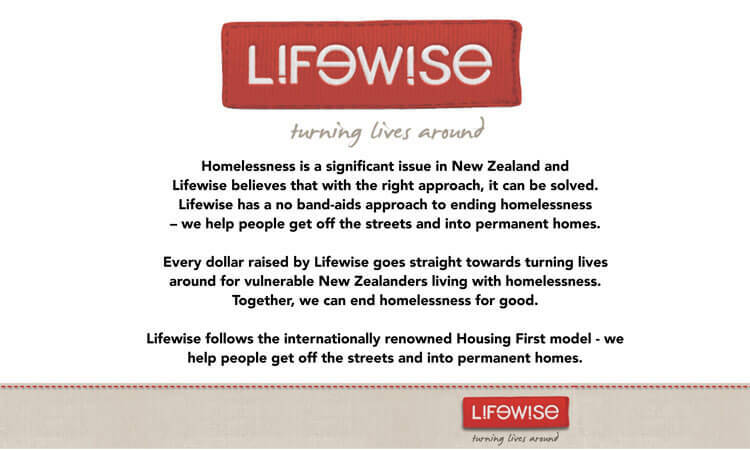 A growing body of evidence supporting this prompted Lifewise to re-evaluate its approach. 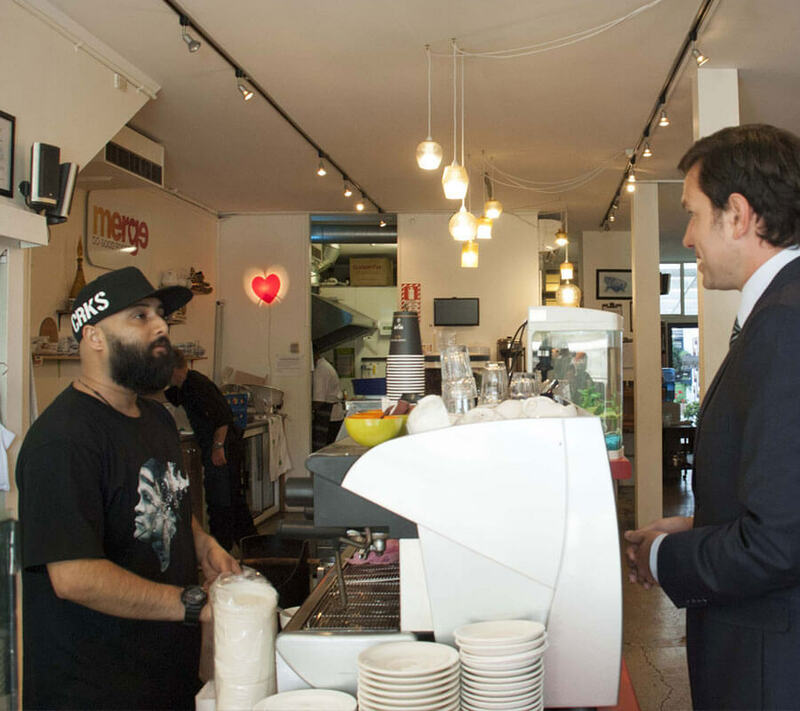 In November 2010, we made the brave decision to close the soup kitchen and open a café in its place. Our goal is to end homelessness. That starts with removing any barriers that keep some people marginalised. The first step towards bringing down any barriers is to offer a space where anyone and everyone is welcome, regardless of their background or their social and economic status. The goal is to merge. 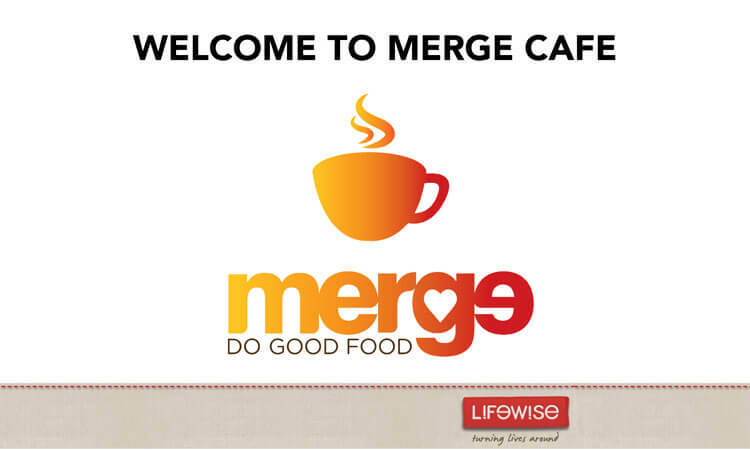 Merge Café aims to provide anyone the opportunity to enjoy meals together, in an environment that embraces choice, dignity and respect. 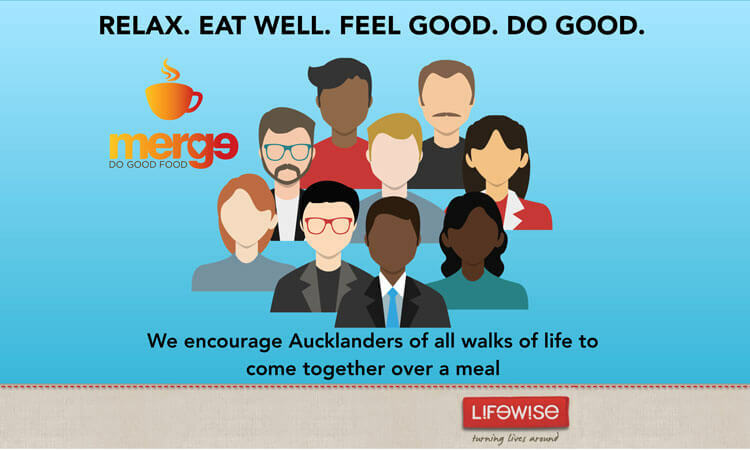 Merge Café supports Lifewise’s approach to tackling homelessness. It connects patrons with wraparound services that provide pathways out of homelessness. The café has proven to be successful on both fronts. As only one of a small handful of such cafés worldwide and the only one of its kind in New Zealand, Merge Café is certainly unique.